Emmanuel SCHMIDT has been appointed Chief Financial Officer and Senior Vice President of Ethypharm Group. He reports to Hugues Lecat President and Chief Executive Officer and joins the Executive Committee. Emmanuel SCHMIDT, 49, holds a Master of Science in Business Management of EDHEC Lille. With twenty years' experience serving as CFO for major international groups, Emmanuel has a 360° vision of his function. 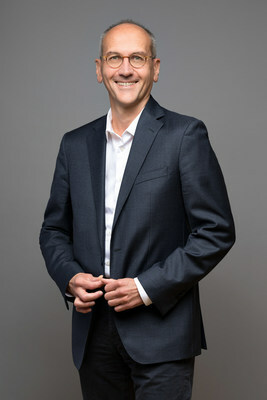 Having spent 8 years as CFO of Pierre Fabre Pharma division, he possesses an in-depth knowledge of the pharmaceutical industry and also has a great command of the LBO mechanisms acquired at Elior and Star's Service. Since 2010, Emmanuel worked as the CFO of the Star's Service Group. "I am very pleased to welcome Emmanuel as Ethypharm's new Chief Financial Officer," said Hugues Lecat. "Emmanuel's deep knowledge of the pharmaceutical industry as well as his financial acumen make him highly qualified to take on the CFO role. Emmanuel is a perfect addition to the executive team to foster the growth of Ethypharm and pursue its Transformation."